Although the inaugural Launch Week for our new 1Ls through the Parris Institute for Professional Formation is just two weeks away–and furious preparations are in full swing–that doesn’t mean that other law school events have taken a back seat. For instance, starting today, the extremely popular “Mediating the Litigated Case” program gets underway through the Straus Institute for Dispute Resolution. You can read about the program and its all-star lineup of topics and faculty HERE. 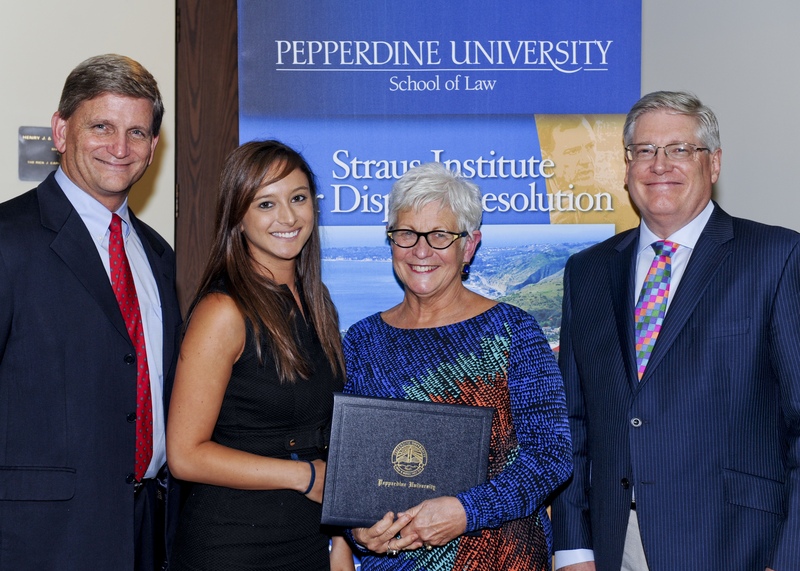 Pepperdine School of Law’s Straus Institute for Dispute Resolution http://law.pepperdine.edu/straus/default.htm was recently ranked the number one dispute resolution program in the country by U.S. News & World Report for the ninth consecutive year. The remaining schools in the Top 5 for 2013 are Harvard University, University of Missouri-Columbia, Hamline University, and Ohio State University (Moritz). The Straus Institute was established in 1986 as the first dispute resolution program in the Southwest. From the beginning, the institute has recruited prominent full-time faculty and practitioners from throughout the U.S., Canada, Latin America, and Asia. Straus offers two tracks of training: professional training programs and academic programs including the Certificate, a Master’s (M.D.R. ), and an LL.M. in dispute resolution. Beginning in the fall, Straus will offer more than 40 different courses in dispute resolution including negotiation, mediation, arbitration, labor, entertainment dispute resolution, dispute resolution ethics, cross cultural conflict, psychology of conflict, and other areas. Courses are taught by six full time Pepperdine professors, 22 local adjuncts, and 35 adjuncts and visiting faculty from around the world. Our JD students have the unique opportunity to gain valuable insights into the emerging dispute resolution field. Lawyers and neutrals add the important ability to settle conflicts through means like: negotiation, conciliation, mediation, arbitration and more. Just another way Pepperdine Law is preparing students for Purpose, Service and Leadership.